Leading mail, e-commerce, courier and specialist logistics firm The Delivery Group has announced a significant six-figure investment into low emission vehicles. 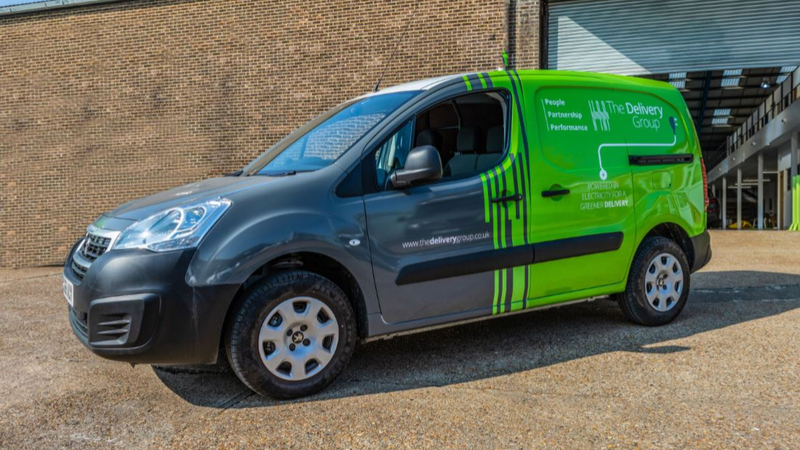 The company, with sites in Central London, Kent, Luton and Warrington, is switching its Central London fleet to electric vehicles from March, with a view to roll out additional electric vehicles other sites later this year. The Delivery Group is making the investment in line with the information of the Mayor of London’s new Ultra Low Emission Zone (ULEZ) initiative. ULEZ aims to improve air quality standards in the capital by charging those vehicles not complying with tighter exhaust emission standards. The Delivery Group makes thousands of daily deliveries and collections for London-based clients. Mark Callandine, MD, TDG London and Kent comments: “This is a significant and important investment for our business, our clients want to partner with a supplier that proactively seeks to provide the most sustainable and environmentally efficient service – allowing them to meet their own sustainability targets too”. The Delivery Group recently re-branded and announced the opening of a £2m mall and parcel processing warehouse in Aylesford, Kent. The business works in partnership with almost 1000 clients to create and deliver professional, sustainable solutions, exceptional value and market leading standards of customer service. 0 responses on "The Delivery Group Makes Low Emission Investment"